Unique Moments Photography from Gig Harbor Washington captured this detail image during the getting ready process. 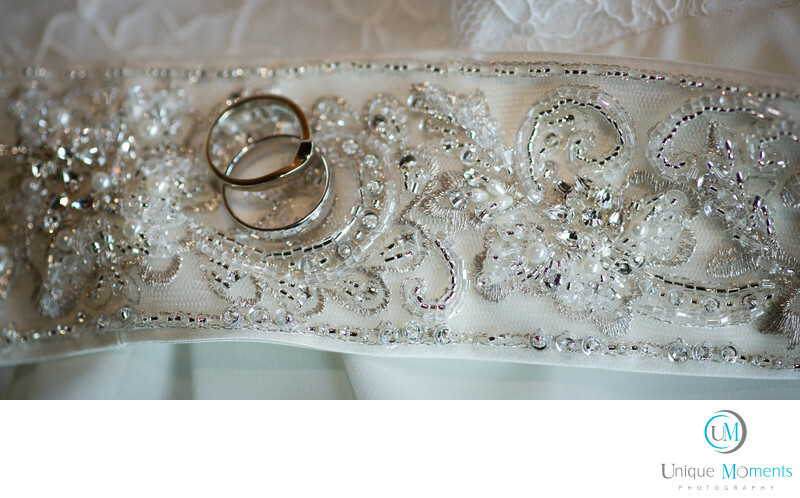 We placed the Rings on the dress in front of an area that allowed some window light to come into the room. Details are extremely import to capture for our clients. They want to be able to remember the little things as time passes by. Capturing the details is a great way to meet those needs for your clients. We use macro lens to capture most detail images because with the right lighting, the details pop in the pictures.